65% Mixed Billings, with $/ph initial guarantee! Voted best practice on the Sunshine Coast! Visiting allied health includes podiatry, psychologist, hearing, diabetes educator, dietician and domestic violence counselling. There is onsite pathology, skin checks and a travel clinic. Explore the Sunshine Coast and experience the wildlife, breathtaking beaches and hidden gems waiting to be discovered. 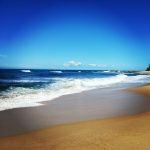 There is something for everyone whether it be whale watching, surfing, relaxing by the ocean or heading off into the lush hinterland for an adventure. The Sunshine Coast is considered one of Australia’s premiere holiday destinations and you could be calling it home! Living on the Sunshine Coast is about life balance and taking the time to enjoy yourself! All of this can be yours, and only 1-hour drive from the State’s capital!